McDonald’s mainly deals with the sales of hamburgers, cheeseburgers, chickens, French fries, breakfast items, soft drinks, milkshakes and desserts (McDonald’s par. 2). The company also introduced salads, fish, wraps, smoothies and fruits to satisfy the increasing needs of the customers. The company will be introducing butchery services (selling of raw meat products) to its line of business. This service will be introduced with an aim of attracting new clients and to generate more revenue for the company. This paper examines the internal stakeholders of the firm with the objective of establishing their relevance to the organization. The main objective of this paper is therefore be to find out the significance that internal stakeholders have to the firm as well as the responsibility of the organization to these stakeholders. The company will require resources to invest in the new line of business especially in monetary terms. The money will cover construction of new stands, meeting statutory requirements such as the required licenses, recruitment of staff to run the stands, purchase of the inputs and advertising costs. The efforts of this marketing plan are expected to bring returns in the next two years since it is projected the company will have achieved the required capacity of customers to generate substantial profits. McDonald’s is a multinational corporation that operates in the food industry where it provides beverage, French fries, and breakfast items among other items in its restaurants. The concept of stakeholders as referred to by Stakeholders (par. 3), refers to the individuals that affect or are affected by the activities and operations of the firm. Therefore, there are internal as well as external stakeholders with internal stakeholders originating from within the firm and can be controlled, which is contrary to external stakeholders that emerge from the outside (external environment) of the firm. This paper will only focus on internal stakeholders of McDonald’s Corporation. 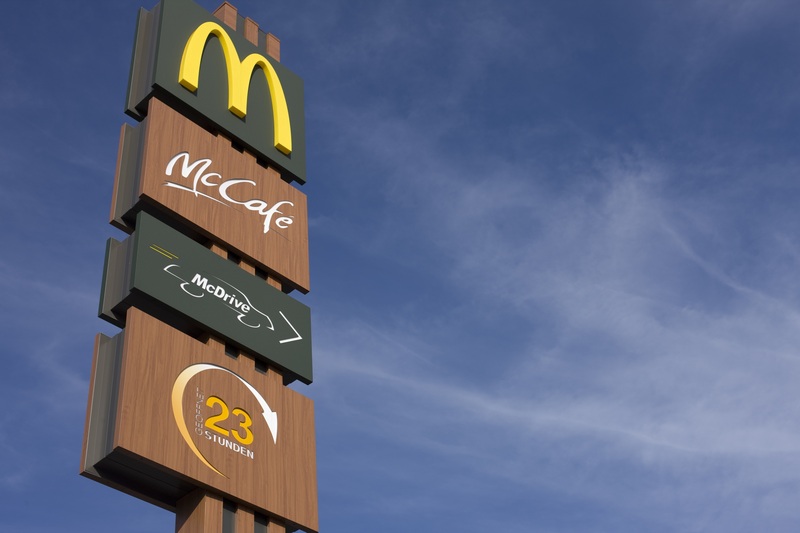 The common internal stakeholders of McDonald’s are the employees of the firm and their management leaders that are responsible for formulating strategic decisions of the firm and are discussed below. These are important stakeholders to McDonald’s since they are directly involved in the dealings and operations of the company. The employees of the company are involved in serving the customers of the company given that the firm runs several restaurants across the globe. The employees of McDonald’s have good communication skills to enhance the line of duty that is involved with direct contact with the customers of the firm. During the recruitment process, the human resource sector of the firm ensures that the best employees with the best qualifications are selected. The ability of the employees to serve customers of McDonald’s well is significant in establishing the loyalty of the customers since the customers are likely to come back. The employees in the kitchen section are responsible for developing the best quality food products of the company for its customers. There are other employees serving in other departments and section of the firm such as the finance section, sales and marketing as well delivery sections of the firm, all of which are interlinked. McDonald’s is responsible for a few things as far as its employees are concerned. First, the firm is responsible for employing the employees. This means that the company is responsible for the employees’ financial compensation every month. In addition, McDonald’s is expected to treat its employees fairly in line with their duties. Therefore, there is no discrimination of any form in the firm since fairness is emphasized by the corporation’s policies. In addition, the firm is responsible for providing a good working environment for its employees (Worthington par. 4). On their part, employees of McDonald’s are responsible for providing excellent services to the firm including serving the company’s customers in restaurants or the specific fields in which the employees work. However, they have a right to demand the right amount of compensation for the services delivered to the firm. As noted by Steplearn (3), the employees of McDonald’s help the firm attain its set objectives and long term goals. The skilled nature of employees is significant to the objectives of the company. The paper that you may have read above pretend to be a good sample of marketing research paper. We should warn you that you can’t copy it to your own paper, as it will be considered as plagiarism by your teacher. Our professional writer has written this text as an example for students in order to help them with their essays. If for some reasons you can’t write a good paper, ask BuyEssay to write it for you! We produce only unique, plagiarism-free and qualitative papers of any kind! So, if this marketing research paper caught your eye, feel free to order it right now! Our service is available 24/7.